>> Clint M. Kraus, D.O. 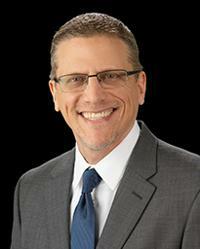 Dr. Kraus was born and raised in Oklahoma, but has considered Washington and the Pacific Northwest his home since 1997. He holds three degrees in music, including a Doctor of Musical Arts degree from the University of Washington, and comes to medicine following a seventeen year career as a professional organist. Desiring to stay in the Northwest, he received his medical training from Western University of Health Sciences in Lebanon, Oregon. He chose family medicine because he wanted a specialty in which he could really get to know his patients well, and that would allow him to explore his interests which include full-spectrum primary care, LGBTQ health, and preventive medicine. He continues to make music whenever he can, and enjoys gardening and exercise in his free time.